Yes. You read it right. earlier, we heard that "prolonged standing" is bad for the health. But now, As per the new medical research, it is revealed that "prolonged sitting" is bad for us, too. The scientists from Curtin University in Australia conducted a research and found that people who sit for 2 hours at a stretch while they are at work at their workplace or at home, experience discomfort along with mental illness. When you're working, try and take a break on every 30 minutes, and at least walk for 5 minutes, as suggested by experts. It won't matter how much you exercise, or how healthy your diet is, sitting for a long duration of time is dangerous and also can cause early death. 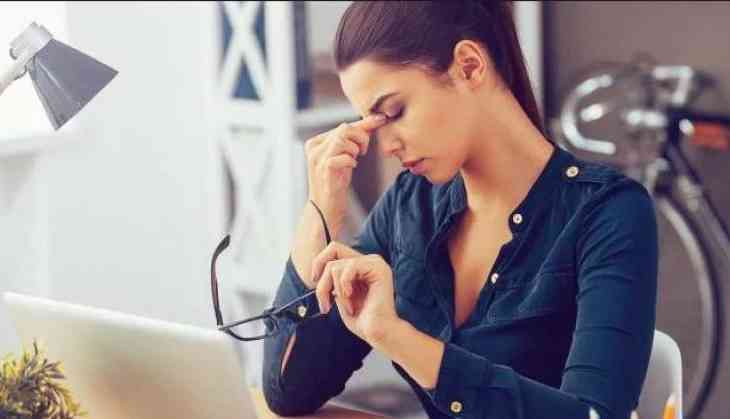 According to the researchers from the University of California, Los Angeles found that too much sitting can damage the part of your brain which can impact on loss of memory. A thinning of the medial temporal lobe (MTL) - a region of the brain often implicated in the formation of new memories. 1. Consistent sitting at your workplace or in front of the television increases your weight. 2. Not to mention, it can also cause a backache. You should at least walk for 10 minutes after sitting for 30 minutes. 3. When you sit for a long duration, it can also cause leg disorders. 4. Currently, it is not clear yet for how long duration of sitting can cause mental illness but surely it affects as per the new study. So, better not to take any chances and keep on moving. 5. Heart diseases, poor posture and memory loss are also some of the factors which are caused by the consistent sitting.